Today was one of our cooler summer days. 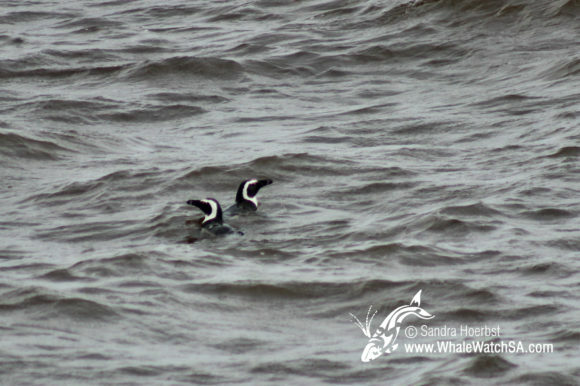 It was overcast throughout the whole trip and some south easterly wind was blowing into the bay. 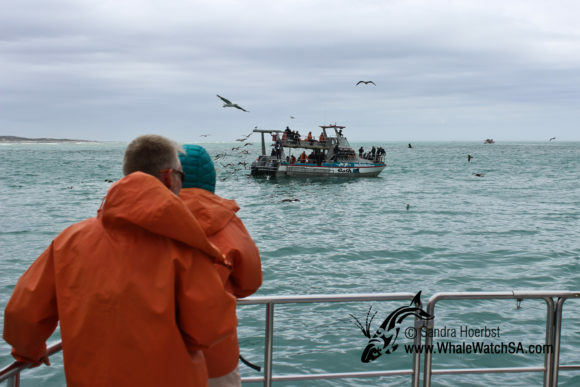 After launching from the Kleinbaai harbour we were heading towards Uilenktraalsmond and then further to Jubertsdam where we stopped at our sister company Marine Dynamics. They have been trying their luck to see some Great White sharks. Just after a quick stop at their boat we changed course and were heading towards Dyer Island. 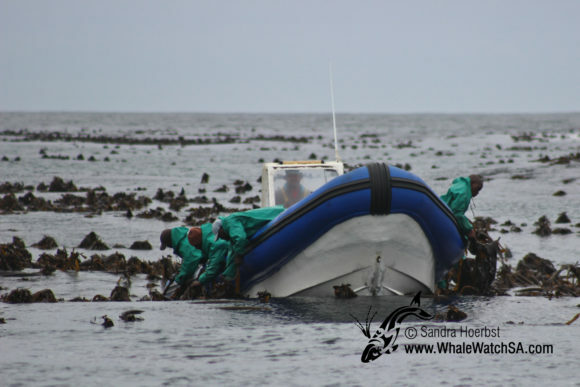 On the way we picked a loose kelp plant to have a closer look and spotted another boat harvesting the kelp for the cultivated abalone farms. 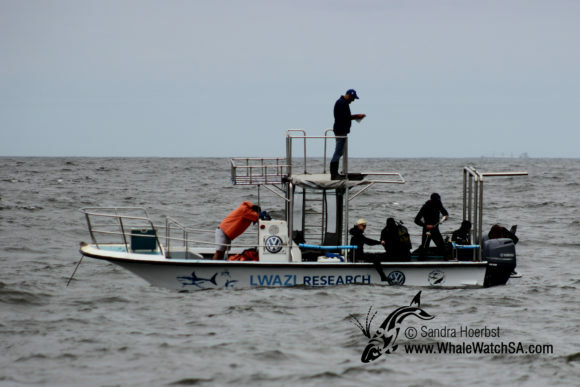 Just before heading into the World famous Shark Alley, we came across another boat our research vessel ‘Lwazi’. 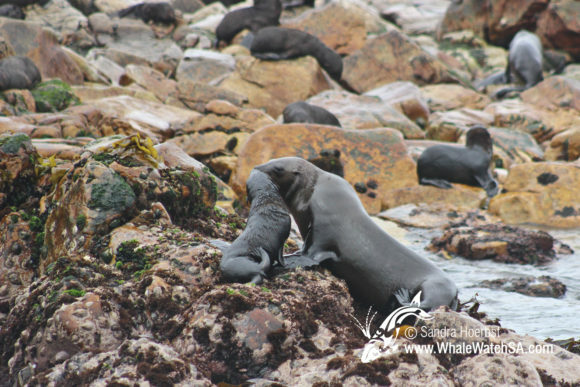 Finally in the Alley between Dyer Island and Geyser Rock we looked at the behaviour of all the Cape Fur seals. 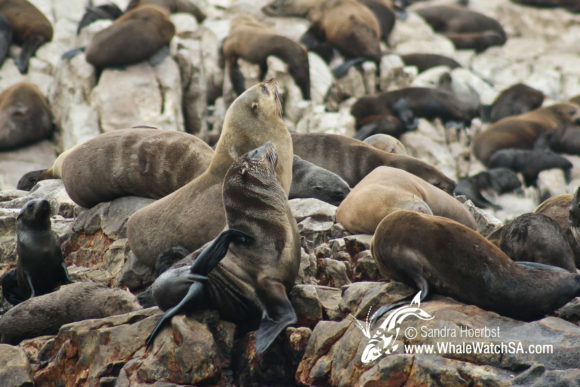 Most of them were on land and only a few were cooling down in the cold Atlantic Ocean. 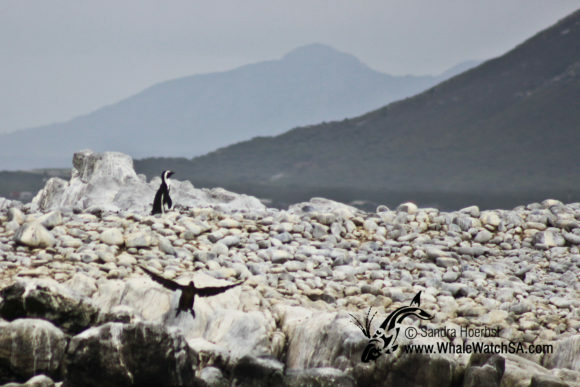 Closer to Dyer Island we spotted a little African penguin. Before returning to land we decided to drive towards Danger Point to see what else we can spot and we didn’t get disappointed. 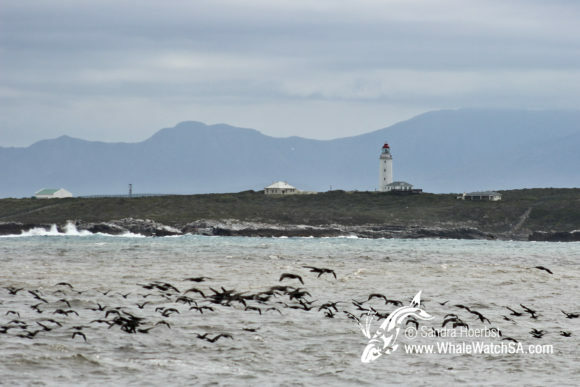 Lots of Cape cormorants were on their way towards Walker bay, passing Danger Point lighthouse. As well we got to see some two more African penguins.